In New Bern, North Carolina, a coastal town hit hard by Hurricane Florence, the storm surge deposited a stray sailboat in a homeowner’s back yard. President Trump’s offhand remark that the homeowner “got a nice boat out of the deal” was the subject of some derision. However, the homeowner may in fact be the new owner of the boat since North Carolina precedent allows an owner to walk away from a vessel rendering it abandoned private property. A recent Financial Times article, takes a deep dive into the potential implications for the homeowner of becoming the unintentional owner of the CSY 44 sailboat. The boat is likely to be heavily damaged and in need of salvage. Since the boat’s original owner is not required to carry insurance, paying for salvage or just getting the boat removed from their property would be the homeowners’ responsibility. Homeowners insurance could cover some of the costs, but the article notes that the homeowner is likely to hand over the title over to a professional salvor as payment for having the boat removed. Your car got flooded. Will your insurance help? flooded cars are bad news. So your car got flooded and two thoughts immediately flash in your head: how am I going to get to work and how am I going to pay for this mess? I can’t help you with the first question, but the answer to the second is easy: insurance. Comprehensive auto coverage: If you’re one of the 78 percent of Americans that opted to purchase comprehensive auto coverage, you’re in luck. 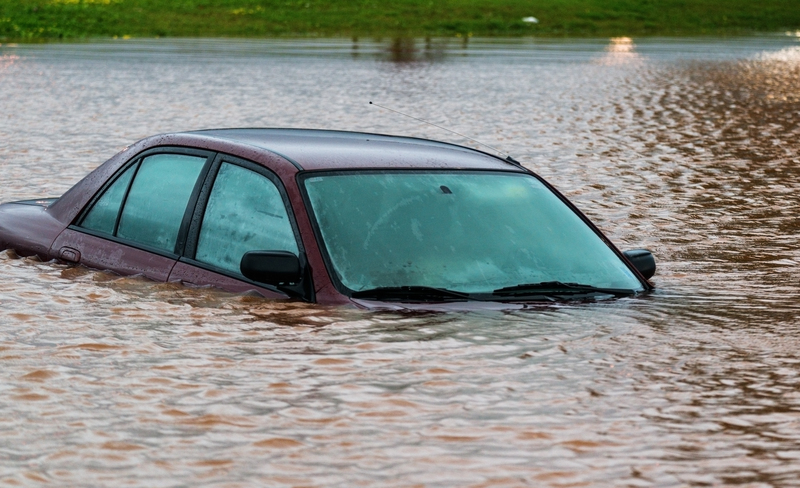 Standard comprehensive coverage will pay for damages to your car caused by water or flood, subject to a deductible. It’ll even cover you if hail smashes your windows to pieces and rain ruins your leather seats. If your car is so water-logged that it’s inoperable, then it might be a “total loss” – meaning that paying to fix it is greater than how much your car is worth. If it’s a total loss, your insurance will pay you the actual cash value for the car (that’s the purchase price minus any depreciation since you bought the car) and then salvage it. Not everything is covered: But comprehensive coverage is not all sunshine and roses. It won’t cover you for any of your electronic equipment in the car that’s not permanently installed (think: your GPS navigation if for some reason you don’t use your smartphone for that – but your smartphone isn’t covered either). Comprehensive is also probably not going to help you out if you left your windows open during a rainstorm, so keep your eye on that weather forecast. What if I don’t have comprehensive coverage? Unfortunately, if you didn’t opt in for extra coverage, you’re probably out of luck. Basic auto insurance doesn’t cover flood and water damage. Your homeowners and renters policies probably also won’t help: these policies don’t cover damage from floods. If you have a newer or higher-value vehicle, this lack of coverage could be a serious problem. As FEMA puts it, “anywhere it can rain, it can flood.” The odds are good that you live in a place where your car can get damaged from water or floods. Speak to your insurance agent or carrier about whether comprehensive coverage is the right move for you and your vehicle. Careers Insured Charts a Bold (Obstacle) Course at Kansas State U. On September 12, the I.I.I. 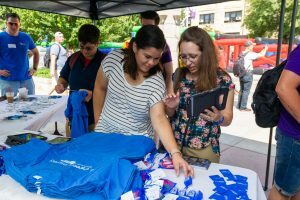 unfurled its Careers Insured banner for the first time outside the K-State Student Union at Kansas State University in Manhattan, KS. The call went out to all via live onsite campus radio broadcasts (and a full complement of social media updates) for everyone to drop by, have some fun, see a few amusing face-plants … but most of all to see and experience insurance and the insurance profession in a whole new light. 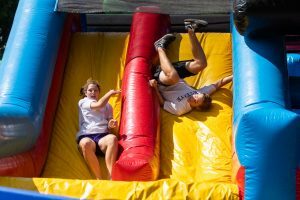 There amid perfect weather, things got “risky” as hundreds of KSU students ran a giant inflatable obstacle course and engaged with representatives from I.I.I. member companies, Lockton and Farmers, to learn about internships and job openings, collect free swag and enter for a chance to win prizes. Don’t want to miss out on the next Careers Insured event? visit the website for more news and information. nasty claims are on the rise. Insurance claims are happening more often and they’re getting a lot more expensive – fast. The consequences are alarming. Premiums are rising for consumers and businesses. Coverage is getting scarce for some risks. Some insurers are increasingly concerned about how to keep liability insurance sustainable into the future. But why are bigger claims happening more often? And what can the insurance industry do about it? Advisen Ltd. held its inaugural “Big Nasty Claims Conference” on September 20 to explore these and other questions, featuring expert insight from across the insurance value chain: defense counsels, brokers, claims and insurance professionals, and risk managers. You’ve seen the headlines. $4.69 billion verdict for women alleging that talc baby powder caused ovarian cancer. $101 million verdict for a driver allegedly injured after his car was struck by a truck. The list could go on for what seems like forever. And if it feels like these are unprecedented numbers happening at unprecedented rates, that’s because they are. 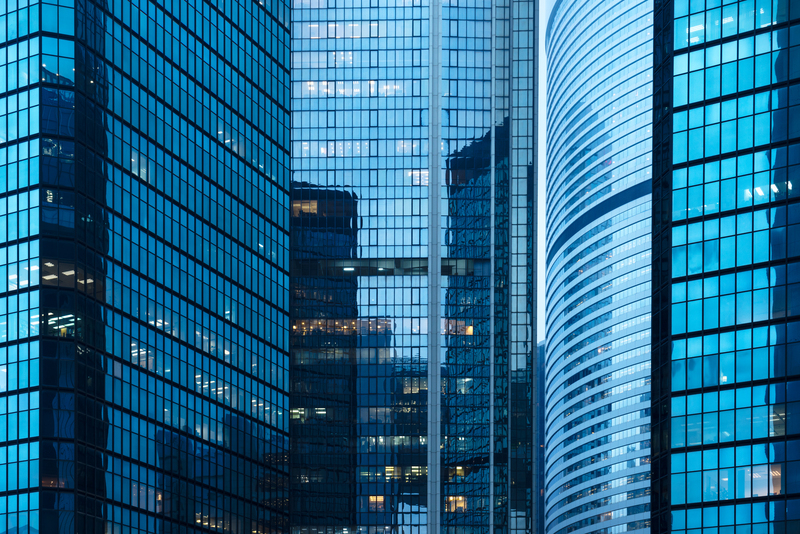 There’s been a remarkable uptick in punitive damages from claims that went to trial, noted Jonathan Drummond, Head of Casualty – North America at Willis Towers Watson. John Manning, keynote speaker at the conference and partner at Manning Gross & Massenburg LLP, made the case that some of this uptick is because of new plaintiff’s attorney litigation tactics. Using the so-called “reptile strategy” (based on this 2009 book), plaintiff’s attorneys have been successfully creating massive risks from what used to be fairly straightforward claims. The reptile strategy involves appealing to what is known as the reptile brain — the part of the brain said to favor safety and survival over logic. What this often means in the courtroom is a subtle distortion of legal standards and burdens of proof. Manning argued that this allows plaintiff’s attorneys to essentially re-define “negligence” in the jurors’ minds to mean the failure of a company to be absolutely perfect and absolutely safe (a far cry from the actual legal standard). Naturally, this standard of perfection is impossible to uphold. 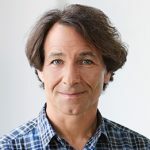 But the reptile strategy’s use of emotional appeal to waive away the need for actual causation can influence the jury to demand compliance with the impossible – and hence multi-million or billion-dollar verdicts against companies whose products might have posed only the slightest possible risk of danger, if at all. 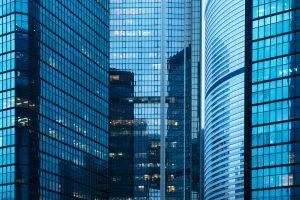 This is particularly true in what Christopher Morrison, Senior Vice President at Swiss Re, called “high sympathy, high damages” claims with low liability – that is, claims where liability is pretty straightforward. He explained that these are the cases where the plaintiff’s attorneys are willing to take risks to move the needle away from traditional legal standards because, to win a big settlement, liability needs to be proven beyond the scope of the actual facts of the case. The consequences of this strategy are impacting traditional legal standards themselves. Manning said that, in his view, the reptile strategy is “the number one factor in moving the line of demarcation of burden of proof for negligence and causation analysis.” “There’s a lot more ‘next asbestos’ if they [the plaintiffs’ bar] don’t have to prove medical causation at the trial,” he added, referencing the recent ruling regarding Monsanto’s Roundup weed killer. “Loss costs in casualty have always been increasing,” said Andy Barberis, Executive Vice President of Commercial Claims at AIG, “but over the last five to 10 years the increase has been exponential.” There doesn’t seem to exist a cap on where loss costs could end, he added, and these recent trends are of significant concern for the future sustainability of the insurance industry. And not all verdicts need to be massive to have an effect. It was a running theme throughout the panels that claims that once cost $1 or $2 million to settle are now going for much more. “Things that used to be routine, we’re seeing a doubling or quadrupling of the verdicts,” said Kevin A. Maloney, Senior Vice President at Allied World. Over time, these individual increases can add up to big losses. 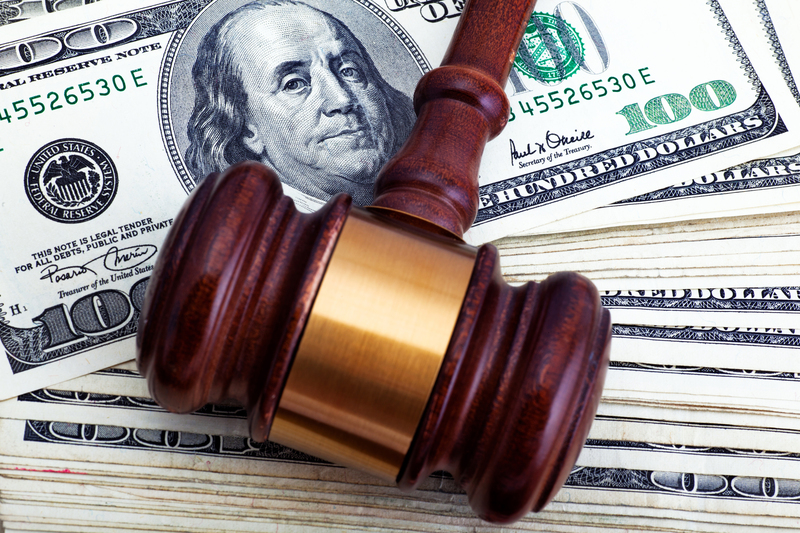 One panel was asked if “litigation financing” might have something to do with increasingly aggressive claims settlement on the part of the plaintiffs’ bar. (Litigation financing is when third-parties fund a plaintiff’s lawsuit in exchange for a portion of a settlement.) The short answer: a lack of transparency about when litigation is being financed by outside parties makes it hard to know if this is a widespread phenomenon. “Transparency is a real issue regarding funding. It’s hard to know they [financiers] even exist because right now there are few requirements for disclosure,” Finsness said. Several lawyers said they had only incidentally found out third-parties were funding litigation, such as when a plaintiff’s attorney was very aggressively pursuing a high settlement and admitted to being funded. Could tort reform help rein in aggressive litigation and massive verdicts? The mood at the conference was that the prospect for enactment of any meaningful tort reform is becoming an ever more unrealizable reality. Instead, strong legal defenses that recognize and counter reptile strategies and other plaintiff’s attorney tactics are crucial. For one, the conference experts stressed unity among parties to a defense; that is, making sure everyone is on the same page to preclude a plaintiff’s attorney from “driving a wedge” between the defense. Communicate “early and often” was also stressed– insureds, brokers, risk managers, and counsel need to share information and coordinate defense strategy as early as possible. In other words, be more strategic. Plaintiff’s counsel on the other side of the fence, observed William Passannante, an attorney with Anderson Kill P.C., “will pool resources and share information and contact each other to form a united front,” especially when there’s potential for a big settlement. “I don’t know if I see the same willingness among defense counsels,” he added. Finsness agreed, arguing that effective defense counsel and coordinated strategy are crucial components of satisfactory claim settlement. Talc-related litigation – the potential population of plaintiffs dwarfs that of the asbestos population. The opioid crisis continues to increase litigation and claims exposure for many books of business. Concussion litigation, especially with the increased attention on long-term brain injuries suffered by football players. Climate change litigation, particularly the recent cases seeking to hold individual companies liable for alleged climate change-related damages. Exposure “leakage,” in which old issues crop up in new contexts. Finsness noted that PFOA (chemicals used in a number of products) contamination could potentially become a product liability issue. Premises security. Will venues become liable for shootings or other acts of violence on their premises? The upshot being: claims are happening more often, are getting more expensive – and may be cropping up for new exposures that could haunt the insurance industry for decades to come. your apartment, safe and sound. The first objection I often hear about renters insurance is “Lucian, I don’t need it because I don’t own a lot of stuff.” Yes, we’re all about minimalist Instagram chic – in theory. But in practice, we own a lot of stuff, because we’re human beings who need clothes and dishes and sometimes we even own a couch. We’re all busy, but applying for renters insurance takes maybe 15 minutes, tops. Many companies let you apply via an app, so while your train is hopelessly delayed you can use that time to protect yourself and your stuff. That way, if your apartment building catches fire while you’re at work, you can rest (relatively) easy knowing that you’ll have help buying replacement stuff and having a place to stay while you find a new apartment – for about the price of a coffee or four a month. Aircraft carrying sophisticated image sensors are flying over the Carolinas this week to gather high quality photographs of areas impacted by Hurricane Florence. 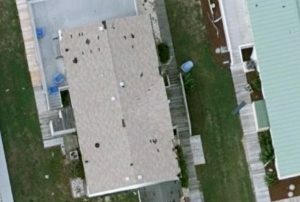 Image of damage on Emerald Isle NC. This was one of the first areas that GIC flew over earlier this week. Within 24 hours of capture, the images will be published online to provide State Emergency Operation Centers with high-resolution representations of disaster areas. The images will be 10 to 15 times better than satellite imagery. 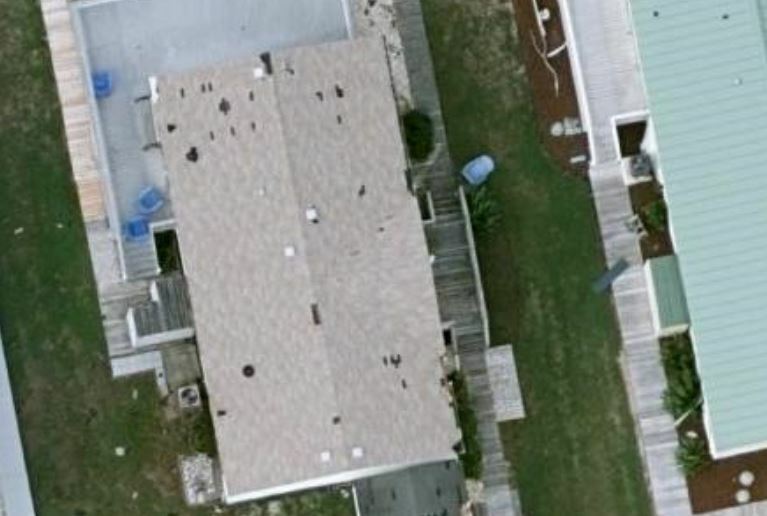 The images are captured by the Geospatial Intelligence Center (GIC), a first-of-its-kind consortium formed by the National Insurance Crime Bureau (NICB), former founders of Microsoft Bing Maps (now Vexcel Imaging), and several insurers. GIC’s response efforts proved critical in 2017, when it provided unprecedented access to post-disaster aerials over Texas, Florida, Puerto Rico and the U.S. Virgin Islands – covering larger areas than any other response to date. Homes under water after Hurricane Harvey. It’s the most common and costly natural disaster in the United States, with billions of economic losses every year. According to the National Flood Insurance Program (NFIP), 90 percent of natural disasters in the U.S. involve flooding. A 2016 I.I.I. survey found that 43 percent of US homeowners incorrectly think that heavy rain flooding is covered under their homeowners insurance – and only 12 percent had flood insurance. Floods happen. Regularly. Even if you’re not in a flood zone – and even if you’re not usually in the path of a hurricane. If your home gets flooded, it will be a financial and emotional nightmare: FEMA argues that only 1 inch of water can cause $25,000 of damage to your home. Your homeowners insurance won’t cover floods: If you don’t have flood insurance for your home, you probably aren’t covered under your homeowners or renters policies because flood risks used to be considered uninsurable. To address this lack of coverage, the National Flood Insurance Program (NFIP) was created back in the 1960s. The NFIP is a federal program that provides flood insurance to participating communities. If your community participates in the program, you can often purchase insurance through a private insurer that handles policies and claims on behalf of the NFIP. 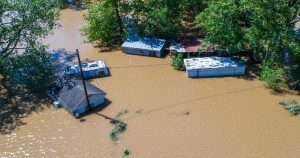 Private insurers have also recently begun offering flood insurance outside of the NFIP, as new modeling techniques have helped them get a better handle on the risks and costs. Flood insurance will usually cover physical losses to your home caused by floods or flood-related events, like erosion – with some limitations (trees and fences aren’t covered, for example). You can also buy coverage for the contents inside your home, making flood insurance a crucial tool to help you get back on your feet. Because disaster assistance won’t be enough: disaster assistance is often only available if you live in a declared disaster area. And even if you are, the FEMA disaster grant is only about $5,000 per household, a fraction of the average flood insurance claim of $30,000. Flood insurance pays whether you’re in a declared disaster zone or not.